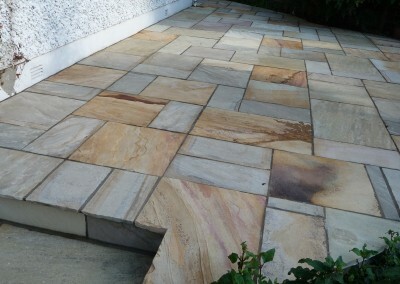 Sandstone Patios come in a wide range of colours and look really well when liad properly. 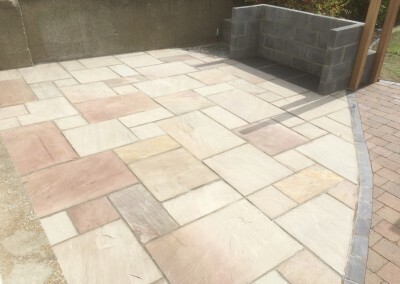 Sandstone Patios can be a little harder to maintain than patios made from Quartz Stones or Granito Stones, Sandstone Patios just need to be laid professionally to look great for longer. 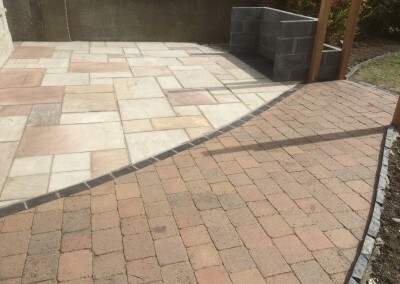 At Peninsula Stone, we never cut corners and ensure that all our patios are laid to perfection to stand the test of time. 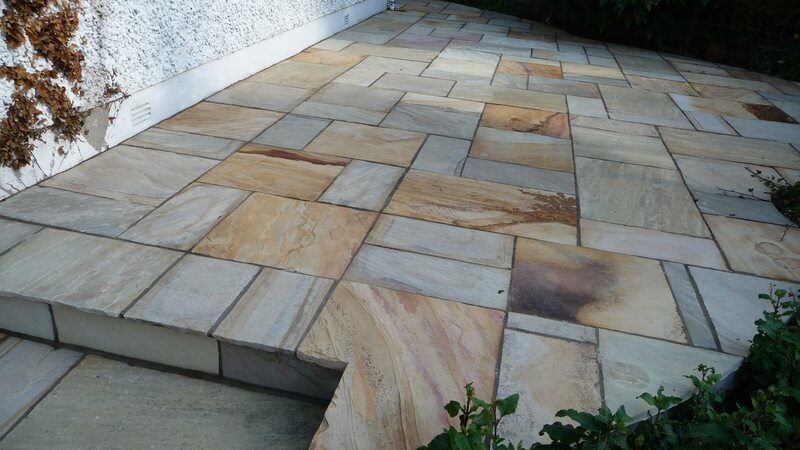 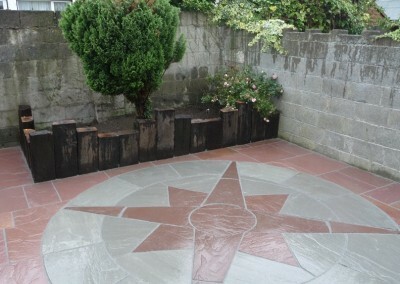 We ensure that all our Sandstone Patios are sealed using ‘Drytreat Stain Proof’ which will maintain the great look given by Sandstone Patios for a long time. 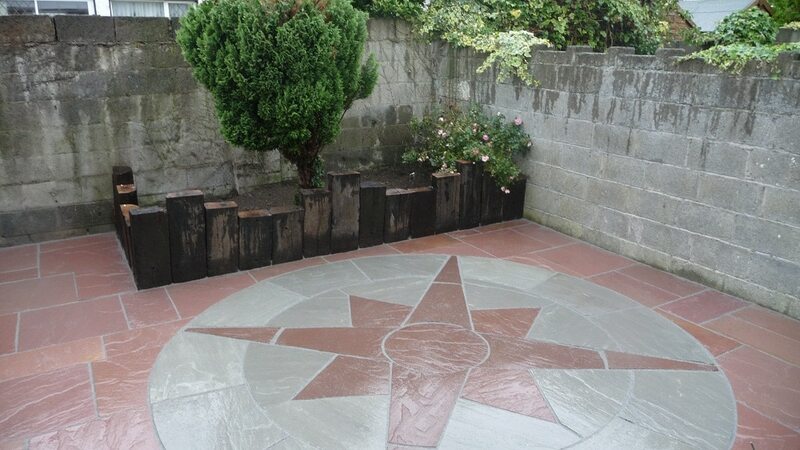 Peninsula Stone is always happy to help you decide on the right type of stone to suit your patio.